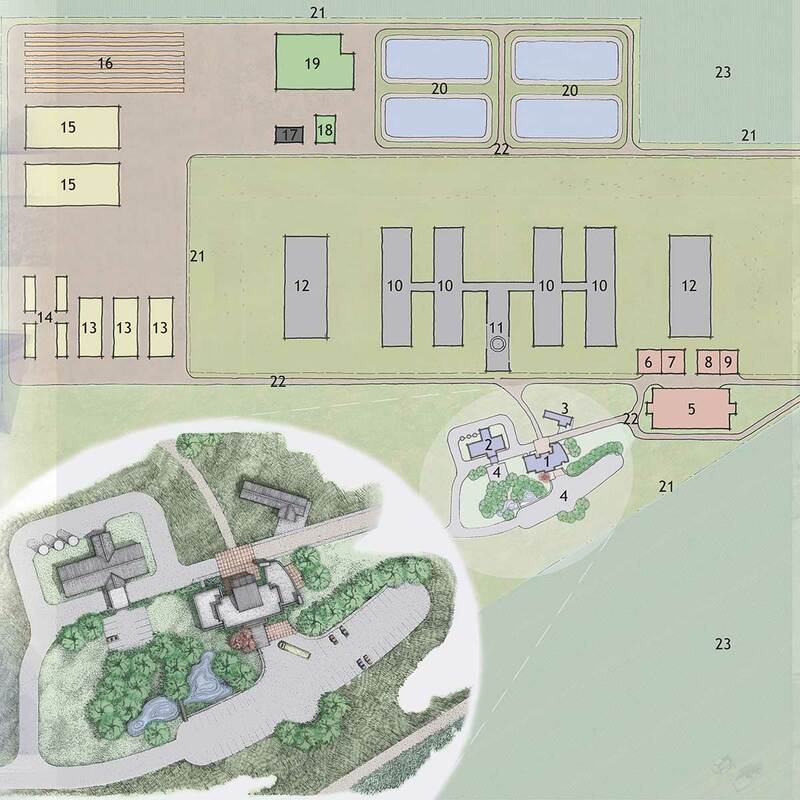 Proposed research dairy in Magic Valley will be the largest in the nation. The dairy industry is the fastest growing segment of Idaho’s agricultural economy. That’s why the University of Idaho continues to move forward with a proposal for a 2,000-cow research dairy in the Magic Valley area. The Idaho Center for Agriculture, Food and the Environment (CAFE) will lead research in sustainable agricultural production and practices; profitability in production and processing; and rural community resiliency. Livestock production accounts for more than 60 percent of Idaho’s agricultural cash receipts, and Idaho tied for third in milk production in the country in 2017. Most of that dairy production happens in the Magic Valley. Idaho CAFE will be the largest research dairy in the nation. “The University of Idaho’s land-grant mission provides the basis for our research footprint across the state. Our excellence in agricultural education, research and outreach continues to provide our ag industries with cutting-edge technology, a trained workforce and partnerships that benefit the statewide economy,” said U of I President Chuck Staben. The $45 million project is supported by Gov. C.L. “Butch” Otter and the Legislature, which earmarked $10 million for the project during the 2017 legislative session. U of I continues to fundraise and develop industry partnerships in support of the facility. Preliminary designs show the vision for a dairy of representative size to be relevant to Idaho’s existing dairies, with robotic milking systems. By supporting 2,000 cows, the facility will allow researchers to do replicated studies as well as research on water treatment systems, nutrient management, anaerobic digesters and other tests that need to be done at a larger scale to best support Idaho’s dairy industry. Research possibilities expand beyond agriculture. Engineering, natural resources, education and more will have the opportunity to make CAFE a truly interdisciplinary endeavor. U of I is forming educational partnerships with Brigham Young University-Idaho (BYU-Idaho) and the College of Southern Idaho (CSI) to provide opportunities for students from around the state to learn at the facility. CSI plans to deliver technical training for its students, helping build a trained workforce to support Idaho’s dairies and the growing food-processing sector. BYU-Idaho, known for its strong agricultural programs, will also use the facility for student training and research. CAFE will serve as a nexus of educational collaboration as the Idaho State Board of Education continues to encourage Idaho’s higher education institutions to work together. “U of I has the academic expertise to lead this impactful project, but success will require unprecedented collaboration across the university, Legislature, educational partners, stakeholders and the community. We are working on all fronts to make this a truly transformational facility,” said Michael P. Parrella, dean of the College of Agricultural and Life Sciences. Farmland will also be incorporated into CAFE’s mission, with research on animal feed, sustainable crop growth practices and water use. Idaho has fast become a contender in dairy processing with the establishment of large cheese and yogurt processing companies. As the appetite for dairy products in the state continues to grow, CAFE is poised to work with industry to increase productivity and supply a talented workforce. Learn more about how you can support Idaho CAFE at uidaho.edu/cafe. This artist’s conception shows the masterplan for the proposed Idaho CAFE structure.